Ensuring your child’s safety is at the heart of everything we do. The safety and well being of not just the children but also our staff and visitors is of the utmost importance to us. We are active in ensuring that everyone takes responsibility for their own safety and for those around them. Our nurseries conduct comprehensive health and safety checks and routine fire and emergency drills on a regular basis. Qualified First Aiders are present at our nurseries at all times, and our staff teams all are trained in health and safety, child protection and hygiene practice. We believe that it is important that all staff are trained in paediatric first aid but also are confident in using their knowledge in an emergency. 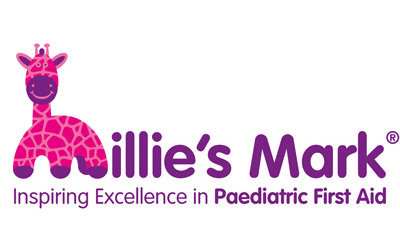 We support and have gained the prestigious “Millie’s Mark” to reflect this. Click here to find our more.